Yes, everyone! 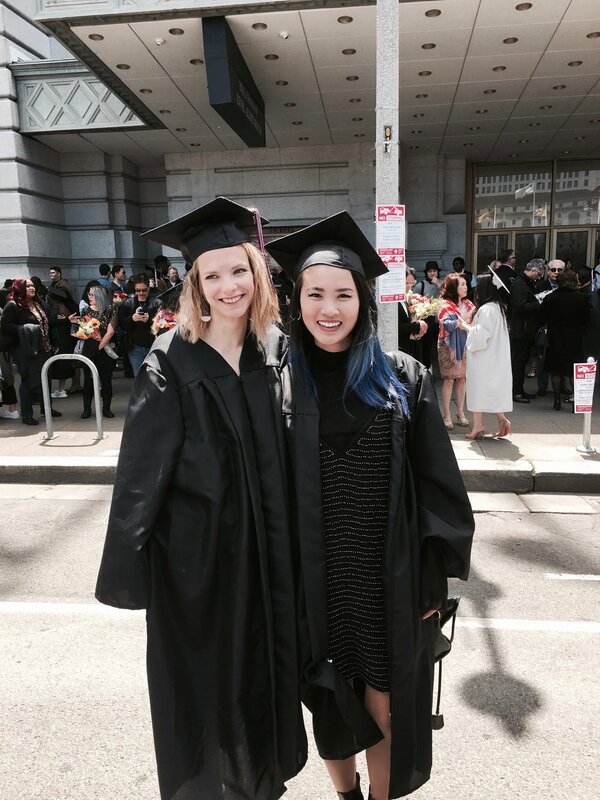 I have finally graduated from Academy of Art University with a fashion styling degree! I'm not sure where I want to pursue my career next, but I definitely do want to move out of the Bay Area by next year. Why next year? Jarren just got a job at Thermo Fisher with a one year contract, after a year, he and I will decide where to move next. Maybe San Diego, maybe Los Angeles, maybe New York? Anyways, my last destination will be Australia, but still deciding where to move first! Within this year, I will be working part time, traveling to new places, learning about the new places/cultures, and document it in my blog! Also! I'm sorry that I didn't get to take pictures with everyone that I knew >< we were just all really hungry and decided to go eat brunch at Hayes. But congrats to all of us AAU students who graduated!! WOOO! Click on the squared images above to see full view!